Every medical professional and practitioner has a stethoscope, as it is a very vital tool for them to be able to assess patients and make diagnoses of the patients’ condition. Nowadays, there already a lot of brands and products emerging in the market. Some already have a reputation built for the longest time, while some are still trying to build one. Each brand has a different price range from others, and different brands may also differ in certain specifications of the product. One of the leading brands in the stethoscope industry is Thinklabs. And they currently have a newest innovation above all stethoscopes: the Thinklabs One Digital Stethoscope. This newest addition to their product list is considered to be their flagship product for modern stethoscopes. What is it about this stethoscope that they are proud of? Well for starters, the Thinklabs ONE is the tiniest and said to be the most revolutionary stethoscope today. Why is this so you might ask? The Thinklabs ONE is able to fit the palm of one’s hand and can amplify over a hundred times any sound. You can also use audio headphones with it and not the typical stethoscope headset. At a first glance, one might say that there is nothing extraordinary about the stethoscope, but think again. The design of the Thinklabs ONE is very compact, with a minimalist style and a smooth look. It is easy to operate so practitioners will not have a hard time using it. 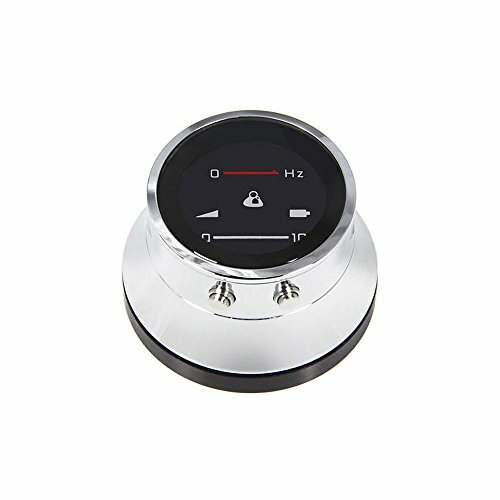 There are controls that you may use to be able to control how the sound from the stethoscope reaches your ears. You can also make necessary adjustments when shifting from listening to the lungs and heart. The Thinklabs ONE has an average standard 3.5 millimeter jack wherein you can connect it a highly quality headphones instead of the binaurals that are made of the old tubing style. Through this, you will be able to get a much better sound while being more comfortable as well. Also, the stethoscope becomes more compact and you have a choice to use headphones of your preference. The jack also enables the user to connect to it with a hearing aid for a more accurate hearing experience. Individuals also have the choice to use the headphones included in the ONE package. The Thinklabs quality in-ear headphones showcases an excellent frequency response, and gives it users the clarity needed for auscultation. These headphones also have a long cable so that users can wear it very comfortably around their neck when currently not in use. The cable used is also a flat one and anti-tangle in nature, thus resisting tangling and being convenient for medical settings. The ear tips that come with it also are in three sizes: small, medium, large, to ensure a perfect fit. The headphones also are noise cancelling, thus making sure that medical practitioners hear the sounds right. It is tuned for extreme bass sounds to be able to reproduce the sounds of the heart. Also, it is with a treble that is crystal clear to be also used for music pleasure purposes. Aside from this, the Thinklabs ONE has another port in a USB style design. This allows you to charge it and connect it to a power outlet using a charger. The USB port could also be used with the cord included in the package. What is the cord for? The cord is special as it is used to connect the Thinklabs ONE to a mobile device in which it is compatible to, a laptop of mobile phone for example. With this, the user will be able to record and enable the proper transmission of sounds for a more reliable storage. The battery used for the Thinklabs ONE stethoscope is a built-in Lithium Ion battery. All the user must do is to make sure that he or she charges the stethoscope to a full battery charge before reporting to duty. Users may not charge the unit every single day, as the stethoscope is still guaranteed to work even if you are just able to charge it once or twice a week. The stethoscope itself is also easy to bring because of its small size and makes it easier to pack or store. The stethoscope itself is designed in Denver, Colorado and is also assembled there. The display lens used in the Thinklabs ONE is that of imported sapphire crystal, the same one you find in a Rolex watch. Its electronics is built in China on the precision robotic lines there. The packaging includes a pocket carrying case for the device so that it can be protected in a way. The Thinklabs ONE stethoscope is smartly designed for the use of medical practitioners and professionals, all the more for those who are on the go. Especially in the medical setting where it is most of the time an emergency case and one should be quick in responding. The stethoscope can also be used by students. With the ability to be able to connected to mobile gadgets and record the sounds from the stethoscope, learning to read and analyze the sounds will be easier for students to do, as they can also refer to the recordings from time to time. Medical practitioners opt for this product as aside from the convenience it gives them, its technology is very much updated and in tune with other developments in the field of technology in line with medicine. To be able to exert more excellent service to their patients and the community, the Thinklabs ONE Digital Stethoscope helps doctors and other medical professionals to continue doing their job with added comfort and convenience. When comparing this innovation from Thinklabs with other products, one can really say that the Thinklabs ONE is of a higher quality and technology. It is much easier to use and will be very helpful to those practicing in the medical setting. Aside from this, its parts are made of the latest materials and have been carefully studied to be able to give the output that individuals want. It is easy and convenient and its package is complete. Although, compared to other stethoscopes, the Thinklabs ONE is more expensive than the usual stethoscope. If you want to have this device, make sure you are ready to invest a great amount of money for it. In terms of reliability, the Thinklabs ONE is reliable enough. The Thinklab brand has been in the industry for 24 years already as it started in the year 1991. The brand is known for being innovative and passionate about medical electronics and related things. There are several online reviews on the newest addition to the Thinklabs product list. The Thinklabs ONE is a product that speaks for itself. How it is being described in the internet is really how it is. There are no flowery words used, just the way it is. Another plus of the Thinklabs ONE is the possibility of the stethoscope to be able to be connected to hearing aids, so that those individuals whose hearing have been slightly impaired can still be able to practice in the medical setting. The access to recordings of the audio from the stethoscopes can be recorded and listened to for reference purposes, thus helpful to students and medical professionals alike. The Thinklink connection system for gadgets cater to Android devices, Mac and Apple devices, and even PC devices. Interested in the newest Thinklabs innovation? You can buy the Thinklabs ONE Digital stethoscope online through the Thinklabs website or through other online stores who are accredited distributors of the product. The Thinklabs ONE Digital Stethoscope costs five hundred sixteen dollars and ninety cents ($516.90) at Amazon.com and is an eligible product for free shipping. It also has been rated 5 stars by buyers at Amazon. A warranty for the item is also given by the seller. Still not convinced? You may read other reviews online to be able to gage the capabilities of the device through the experiences of those who have bought the product and experienced it first-hand. Make sure to see other online stores and compare their packages for sale on the Thinklabs ONE. But, you should also make sure that the store you will buying from online is legitimate and has a trustworthy reputation. Before making a purchase, always make sure to know what the product offerings are, and if these offerings are in line with your target goals and use. Choose a product that will give you the best value for the money you will be paying and that of which is a trust worthy brand with a reputation that has been built through excellent products, services and innovations. Paying for something a bit expensive will always be worth it if the product delivers more of what is expected from it. So always choose your purchases wisely and carefully.